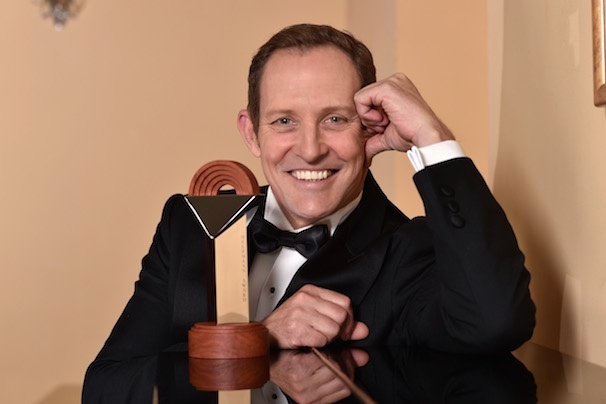 Live Performance Australia (LPA) has today announced previous Helpmann Awards winner and Australian favourite, Todd McKenney, as the host of the 2015 Helpmann Awards. The 2015 Helpmann Awards will be held at Sydney’s Capitol Theatre on Monday 27 July on the set of Cameron Mackintosh’s Les Misérables and broadcast live on Foxtel Arts. LPA Chief Executive, Evelyn Richardson said McKenney is no stranger to the Helpmann Awards stage and LPA is very excited to be working with him this year. “The Helpmann Awards celebrate Australia’s finest live performances and performers, and who better to host our annual event than one of Australia’s most well-loved, dynamic and versatile live performers, Todd McKenney,” said Ms Richardson. Opening the 2015 Helpmann Awards is the full cast of Cameron Mackintosh’s acclaimed new production of Les Misérables, undisputedly one of the most popular musicals of all time. The 2015 Helpmann Awards will be written by Jonathan Biggins and Phil Scott and directed by Jonathan Biggins. NSW Minister for Trade, Tourism and Major Events, Stuart Ayres said the NSW Government was proud to be supporting the Helpmann Awards for 2015 through its tourism and major events agency Destination NSW. A total of 42 awards will be presented at the 2015 Helpmann Awards, in addition to lifetime achievement awards, JC Williamson Award and Sue Nattrass Award. The full program for the 15th annual Helpmann Awards, including award category nominees, will be announced on 22 June.